This page is intended to serve as an index for Local In Ann Arbor blog posts about rail projects proposed for Ann Arbor. Transit Plan Final_June2011 is the Transit Master Plan (TMP) that was prepared in anticipation of adoption of a countywide transit organization by Washtenaw County voters. It failed to be adopted by most county communities. The plan is no longer available on the AAATA website, though to my knowledge it was never formally abandoned. The sections relating to rail transit are still informative. 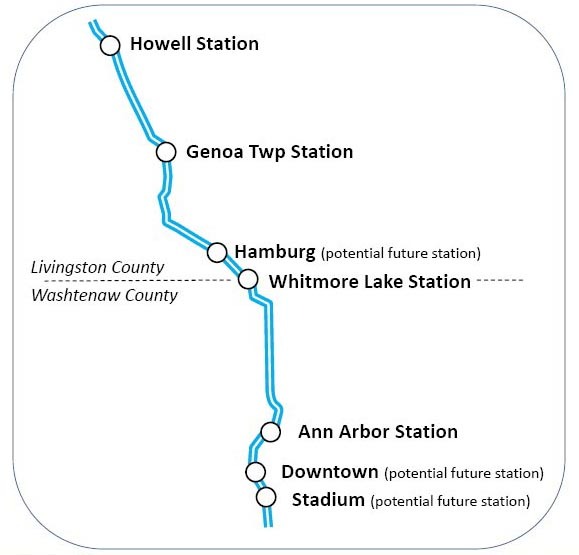 Ann Arbor Station is the city webpage on the process to approve a plan for a new train station. The Connector Alternatives Analysis Final Summary Report concludes the Connector Study. It was published in May 2016. 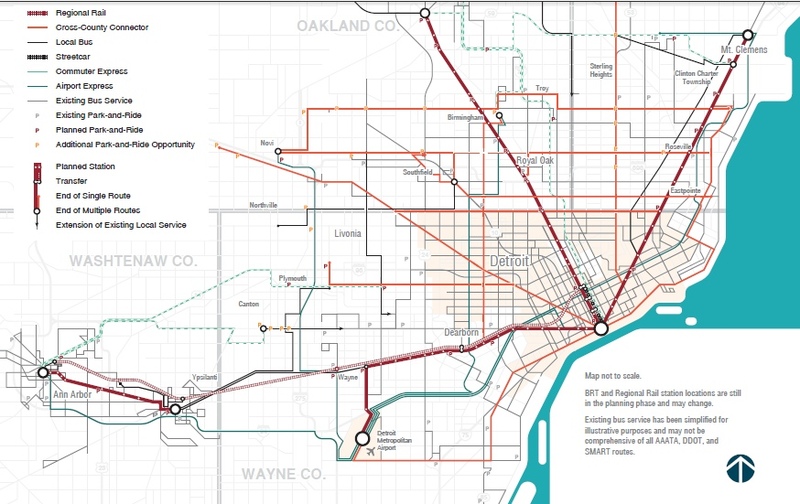 This report recommends the use of light rail to construct the Connector. 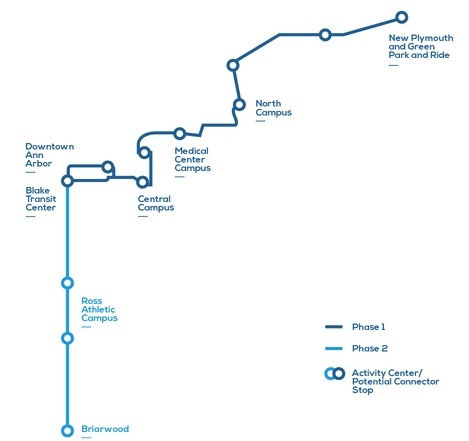 The Connector light rail route as recommended by the 2016 study. Connecting Our Communities is the study of locations for the downtown WALLY station in Ann Arbor. The chosen location is between Washington and Liberty streets in downtown Ann Arbor. It was published in July 2014. The North South Commuter Rail Feasibility Study published in May 2017 is the result of a Federally funded intensive study of all aspects of “WALLY”, the proposed commuter train to Howell. The Regional Master Transit Plan was the Regional Transit Authority’s proposal presented to the public for a millage approval in 2016. The ballot issue failed. 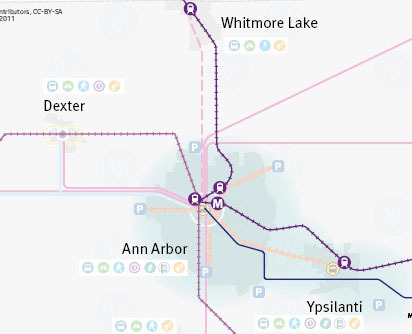 This plan included a commuter rail between Ann Arbor and Detroit. Note: posts in 2012 through 2014 are especially about efforts to form regional transit authorities. Rail projects were sometimes involved, but are not the principal subject. The Mayor’s Model for Mobility, 2006. Note the two rail corridors.